For those that have played Grandia II, which was originally released for the Dreamcast in 2000, you'll no doubt be excited to hear that the game will soon be getting a digital re-release on Steam and GOG.com. In addition to an increase in resolution, Grandia II will also be released with the original Japanese audio, full game-pad support, and new difficulty levels. Okay, so screens of the HD Edition which you can see below may not exactly look all that impressive. But, when you factor in the fact that the original PC release of the Grandia II was pretty poor, and that the game itself is in many ways The Greatest Japanese Role-Playing Game of All Time, this is good news all around. Grandia II introduced not only an epic and episodic story that could have just as easily served as the basis for a fantastic TV-series, but the battle system which blended turn-based selection with real-time strategy, was simply peerless. 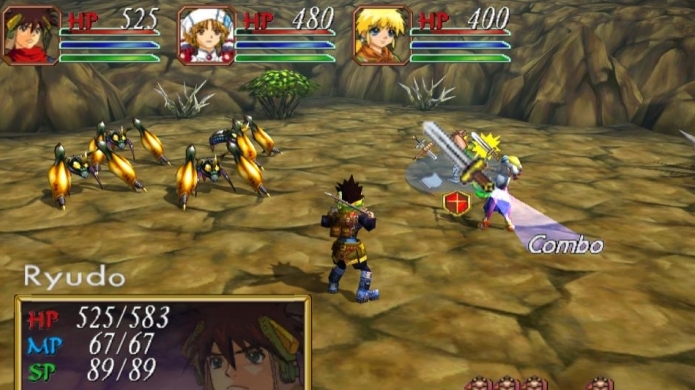 Grandia II HD Edition will launch sometime later this year. Hard to say Toll. Some of it is for sure, but very few JRPGs aren't grindy. The dungeon designs in the game can get a little tedious and boring but for the most part you can avoid the overworld battles. I was replaying it a few years back and thought it held up okay. If you consider Grandia 2 as the best JRPG of all time, then go have a play of .hack GU 1-3 and you'll think you've died and gone to heaven.